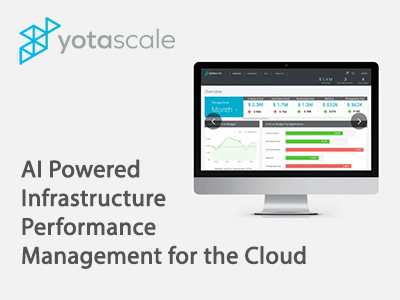 Yotascale is one of Silicon Valley’s hottest startups that is defining the infrastructure performance management market for large-scale cloud deployments. The Yotascale platform is used by dozens of major consumers of cloud infrastructure, including the industry’s largest search provider, the leading cloud storage company, and a major business and financial software company. Yotascale helps these customers dramatically reduce operating costs, improve performance and increase their production ops team’s productivity by automating complex tasks that currently require many hours of tedious analysis and problem-solving. Conrad Labs built the initial generation of the Yotascale platform under the direction of the founders, who have experience managing large-scale infrastructure at companies like eBay and PayPal. The platform was built with Scala, Python, Angular, and Bootstrap and also heavily leverages machine learning in the anomaly detection and performance optimization processing. Yotascale is powered by AWS services including compute, S3, RedShift, Dynamo, RDS, SQS, SNS, Kinesis Data Firehose, and Lambda microservices.